My wife and I recently bought a 2014 Ford Escape. For the most part, it's a pretty nice crossover and while the MyFord Touch infotainment system is a little slow, it's definitely a much better experience than our previous 2008 Chevy Malibu. Unfortunately, while we have niceties such as bluetooth, we still lack more modern technology such as an LTE hotspot or remote control through smartphone. Ford is looking to change that with the FordPass SmartLink. 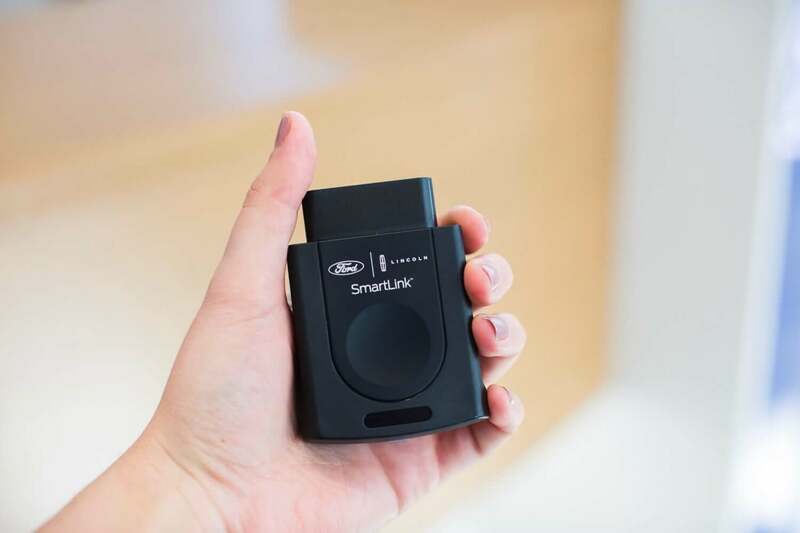 The SmartLink is a small dongle that plugs into the onboard diagnotics (OBD) port inside the vehicle. While plugged into the port, it enables an LTE hotspot through Verizon, gives access to vehicle information and health, allows the vehicle to be tracked, and enables the driver to remotely lock or unlock the vehicle via a smartphone app. There are of course some caveats. It only works on Ford models between 2010 to 2017. While Verizon does provide LTE access, that data must be paid for separately on your own data plan (although Ford says that customers can get up to 1GB or one month of free data, whichever comes first). Also, using the dongle is not a one time fee, it's a $17/month subscription. Technically, Ford announced the SmartLink dongle last year but only as part of a trial program. It will gain wider availability to be sold and installed at Ford dealerships in mid-2018. I'm not sure if my wife will want to add yet another subscription and data plan but for some people, having a little extra smarts may be worth it.